Find My Workspace lists over 95% of the serviced offices market in Hongkou. Simply click Request Quote to check pricing for one office, or Add to Basket for multiple offices. 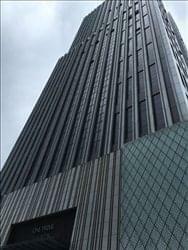 Located on the 16th floor of a 25-storey international Grade A office building, this centre is in the emerging East Bund region, close to Yangpu District and Hongkou District Government Offices. 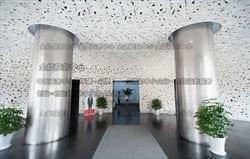 A distinctive landmark building, it is in close proximity to Continental Group Headquarters and Siemens Center. 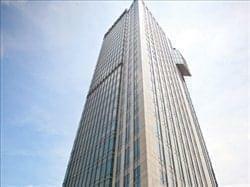 This is an international Grade A office building located in the heart of North Bund, providing a range of serviced office solutions. This 26-storey LEED Gold Certified premium building enjoys breathtaking panoramic views of Pudong and Puxi. It is in close proximity to customs clearance and harbours which makes it the ideal location for import, export, logistics and financial services companies. To obtain information for your selected Hongkou Serviced Offices, please tick the "Add to basket" box for each office you prefer and complete the form below. We will then send a detailed report via email.